To All the Boys I've Loved Before is the perfect back-to-school treat: a YA romance with an adorable heroine, endearing love interest, and enjoyably ridiculous plot. Plus, the entire trilogy has already been released, and Netflix has just released a super cute movie adaptation, so impatient fans (read: ME) won't have to wait to see how it all turns out. Every time sixteen-year-old Lara Jean has a crush, she writes the object of her affection a love letter. The letters are never meant to be mailed, but when someone sends them out, Lara Jean knows there's only one that truly matters—the one she wrote to her sister Margot's boyfriend Josh. 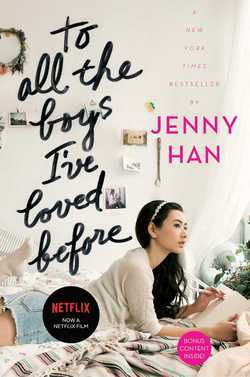 Desperate to avoid hurting her sister, Lara Jean makes a deal with another of her former crushes, Peter Kavinsky: the two will pretend to date, thereby making Peter's ex-girlfriend jealous and proving to Margot that Lara Jean's feelings for Josh are long over. If you've already watched the movie, and you're wondering if you should bother with the book, the answer is a definite yes. The book is more nuanced than the film adaptation, and does a much better job of developing Lara Jean's relationships with people other than Peter. Han is remarkably good at making her far-fetched plot feel plausible, and (thankfully) refrains from inflicting too much secondhand embarrassment upon her readers. I suspect both the novel and the film are a little too flimsy to achieve true Teen Classic status, but they're more than entertaining enough to while away an enjoyable fall weekend.